Right across the aisle from a stack of College of William & Mary sweatshirts at the Barnes & Noble campus bookstore in Williamsburg, Virginia, there’s a display with over 50 lipsticks and lip glosses. The lip products, by Lipstick Queen, sit next to items from Bliss’s new makeup line, and adjacent to bottles of Living Proof dry shampoo, Butter London nail polish, and Philosophy Pink Frosted Animal Cracker shower gel. The mini beauty store is wedged between the cookbook and art book sections. Welcome to The Glossary, Barnes & Noble’s unexpected foray into the world of beauty. The bookstore chain is testing out a new concept store within Barnes & Noble College bookstores across the country. 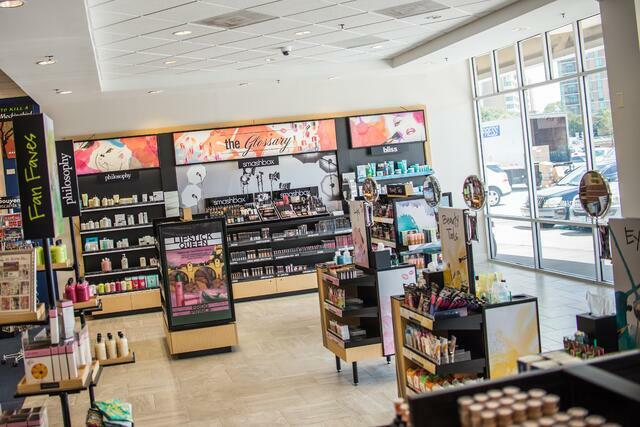 The stores are stocked with premium brands like Smashbox along with drugstore names like Burt’s Bees, CoverGirl, L'Oréal, and Maybelline. This is an excerpt from this full article posted on Racked.com.